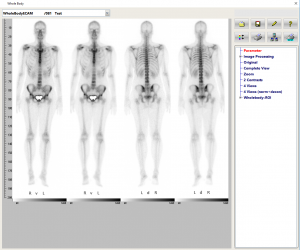 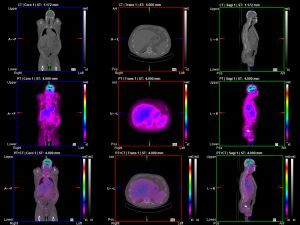 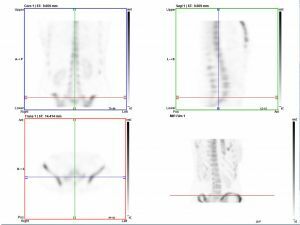 is a radionuclide diagnostic imaging study that evaluates hepatocellular function and patency of the biliary system by tracing the production and flow of bile from the liver through the biliary system into the small intestine. Sequential images of the liver, biliary tree and gut are obtained. 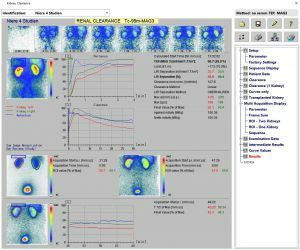 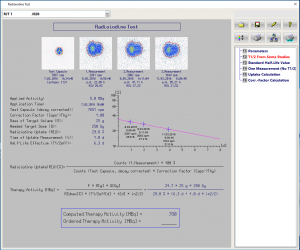 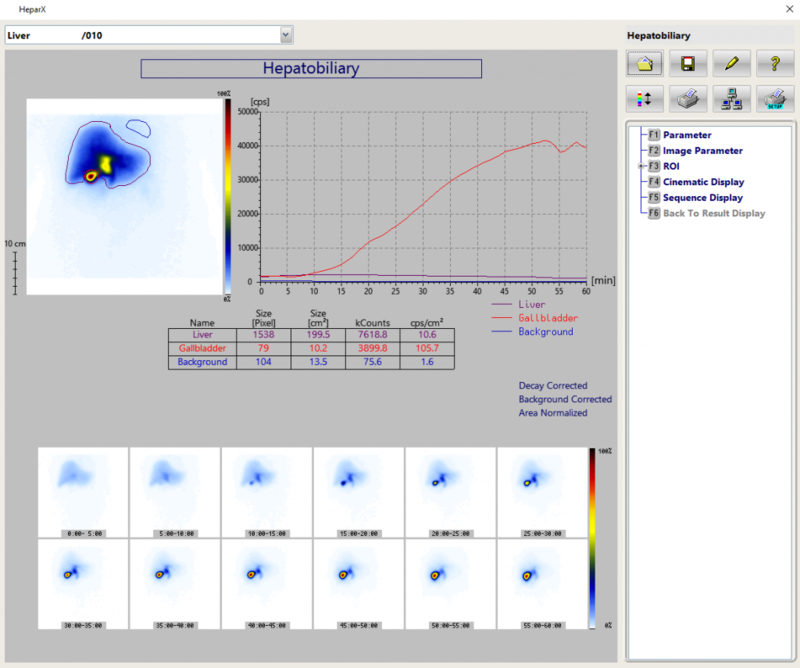 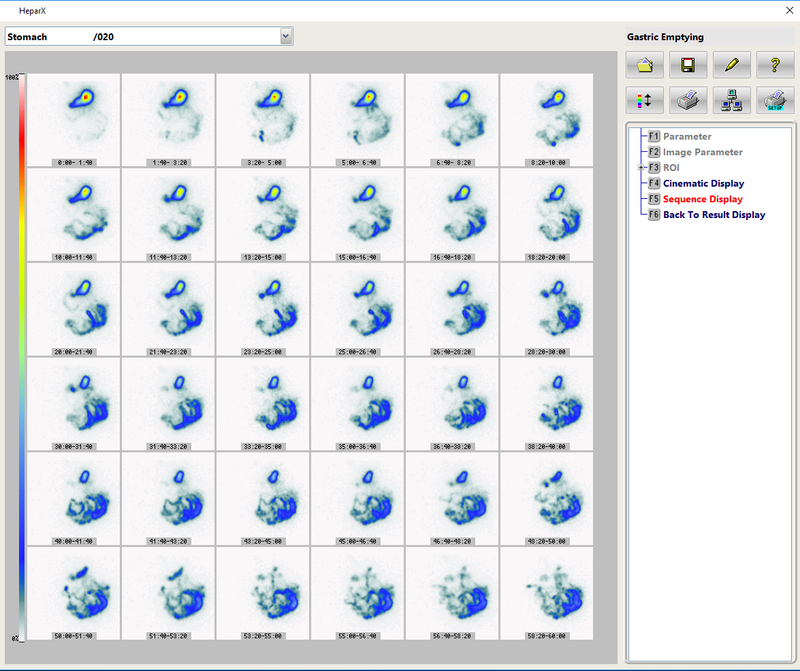 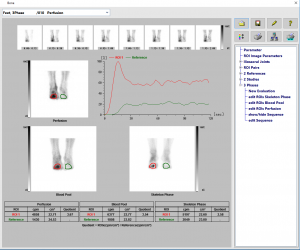 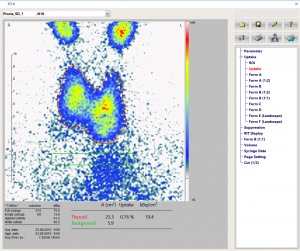 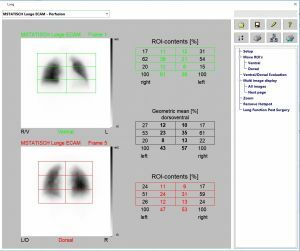 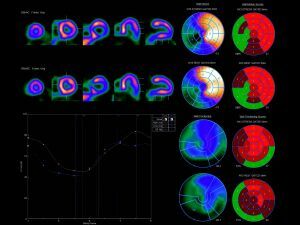 The HeparX-program is a tool to visualize and archive the hepatocellular functionality and to calculate the gallbladder ejection fraction (GBEF). 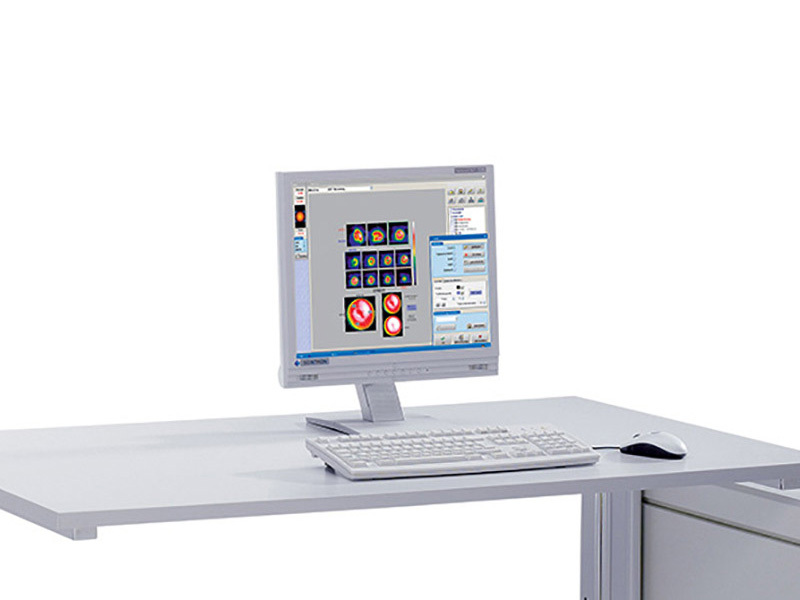 The acquired studies could be displayed and printed as sequence display or for additional information in the cinematic display. The calculation of the GBEF using the immediate pre-sincalide and the post- sincalide data, regions of interest (ROI) are drawn around the gallbladder (taking into account patient motion) and adjacent liver (background). The GBEF is calculated from the gallbladder time-activity curve of the dynamic study. 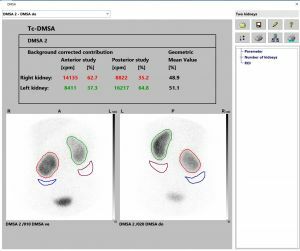 Two different kind of acquisitions are possible: One imaging starts at injection and continue serially until activity is seen in both the gallbladder and the small bowel. 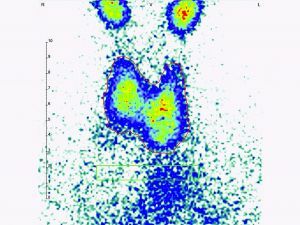 The second acquisition starts after the gallbladder has filled with radioactivity and the cholecystokinin (CCK) was injected. 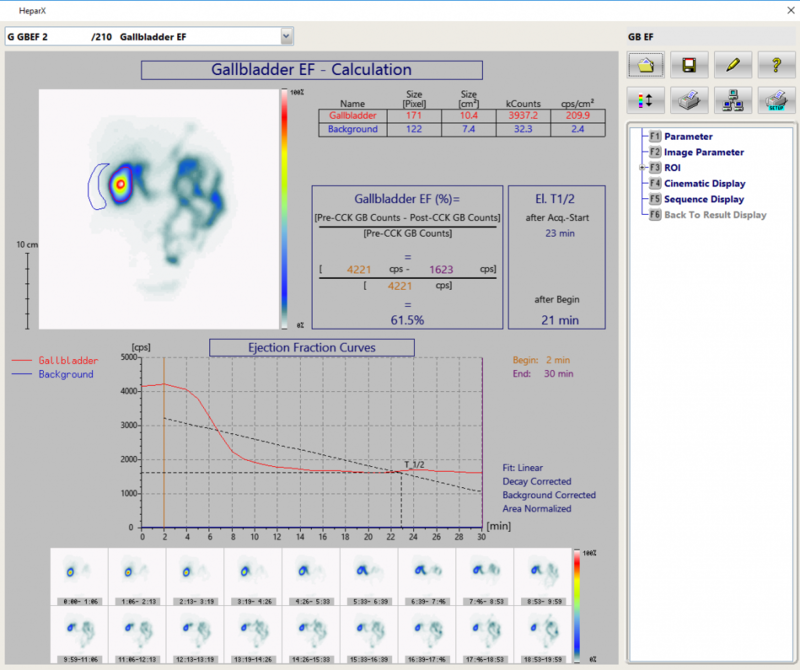 The rate of gallbladder emptying and the fraction of activity emptied in response to a known stimulus such as cholecystokinin to be used as a measurement of contractility. 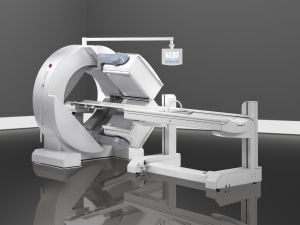 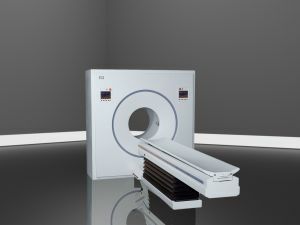 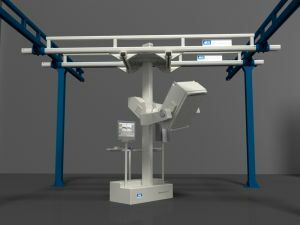 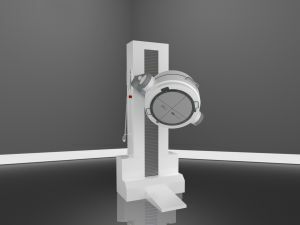 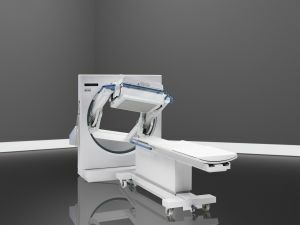 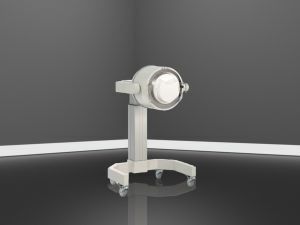 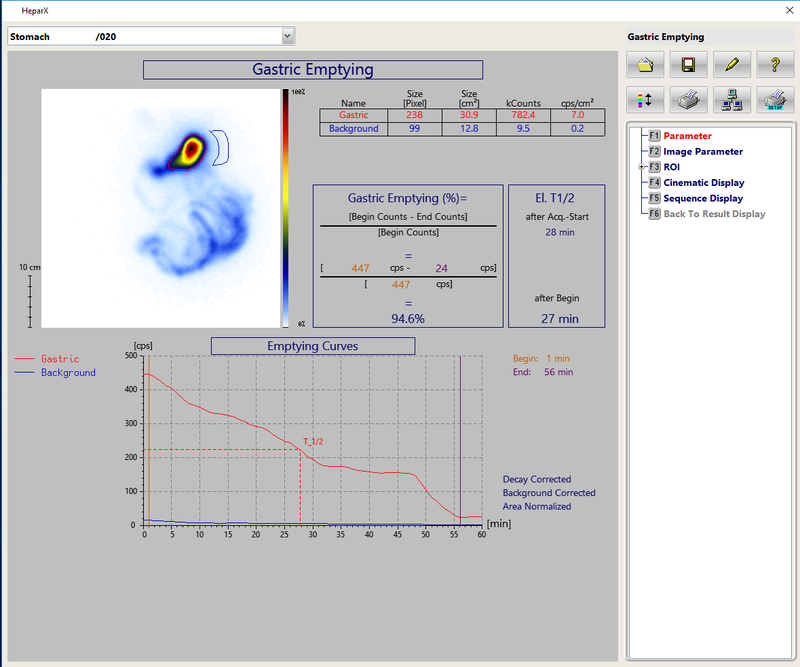 Dynamic Gastric emptying studies can be processed and the emptying curve as well as curve parameters will be displayed.